Constant is a name of simple value (number, text), which should not change during code execution. Constants are case sensitive, and good programming style requires use them in uppercase. 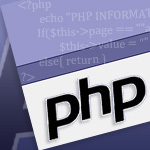 During script execution large number of constants is available defined by php engine. For example, M_PI (3.1415926535898). Exception is magic constants which value depends on where they are requested . he current line number of the file. The full path and filename of the file. This constant returns the function name as it was declared. This constant returns the class name as it was declared.